If you have just joined us, we are sharing videos from our Recallers members for you to view and vote on. We LOVE celebrating dogs and the people who care for them by highlighting their stories. The videos represent many thousands of people and dogs the world over. Today is Round Two of our video contest. There is still time to view and vote on the videos in Round One and Round Three. 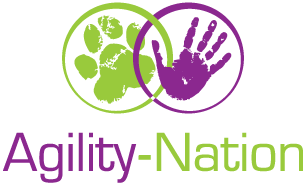 If you are a dog lover who is committed to your dog, you will be sure to enjoy the short video stories just as much as we do. If you are inspired by these videos and want to learn more about our online “Recallers” program just sign up for our “Recallers Wait List” with the form found on this page. Scroll down to watch the five videos below and vote for your two favourites. (Remember: as you are voting, you must select both at the same time before you click the “vote” button). Then, stay tuned as we will release the final five videos in the semi-finals for you to vote on tomorrow. At the end of the three semi-final rounds, we will take the top two videos from each round as voted by you, and they will go head to head in the “Finale” to decide the top three prize winners. We will also be drawing two prize winners at random from all our entries. Our sponsors are amazing! The special gift pack features your very own Recallers Berry Plush with the new Merle Berry, Recallers Milker, Recallers Water Bottle (17 oz stainless steel in white), and Recallers low cut socks. Every day is game day with these gifts from 4MyMerles! Many of the toys and leashes you see Susan use are from the fantastic team at 4MyMerles! 1-TDC is a 4 in 1 Wellness & Performance Economical Solution beyond fish oil and glucosamine, providing support to keep your dog’s hips, joints, muscles, and gums healthy at a cellular level. Susan’s dogs all receive 1-TDC Dual Action and Susan has seen great results first hand! 1-TDC are generously providing the prize of 8 months supply, based on a 50 lb. dog. Safe, natural, and effective, 1-TDC Dual Action can be given with other products, including products prescribed by your dog’s health care professional. But wait, you say, Crate Games is a DVD, not online. Breaking news! 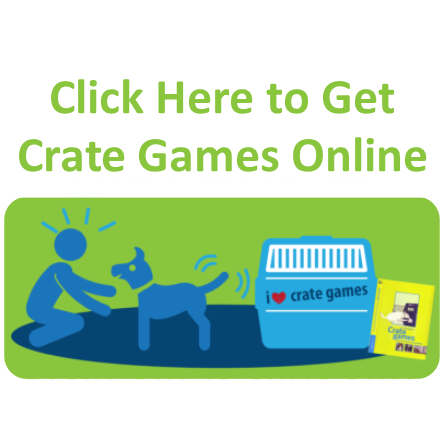 You are one of the first to know that we have “Crate Games ONLINE” coming to the world very soon. The best selling and continually popular “Crate Games”, will be able to be enjoyed online in digital format. Stay tuned for more news on Crate Games Online, coming soon! The fabulous XL Cooling Mat is lined with phase-change material. Zentek K9 Mats are lightweight, water-resistant and help to keep your dog comfortable, whatever the conditions. With a fur resistant outer shell, Zentek makes for the best mat around. We LOVE our Zentek Clothing products! Not only does Zentek have clothes for dogs, but they also carry a whole line of clothing for humans too. ToppaPomppa is a plump and covering winter coat. Its waterproof outer fabric, soft anti-static teddy lining and well-insulating wadding will keep your dog warm even when the temperature is freezing. Soft materials, a generous sizing and a large rear panel ensure that your dog will stay warm. This stylish ToppaPomppa coat is machine washable and will put your dog on the best-dressed list in cooler weather! Round Two Video Stories! Make sure to scroll to the bottom of the page to select your two favourite videos for Round Two. View our Winners Announcement for the 2018 Recallers Video Contest. Did you know that we have a free Facebook group for dog lovers the world over to join? Everyone is welcome. Today I am grateful to you for enjoying the video stories that everyone has put so much love into creating, and for honouring your favourites with your vote!